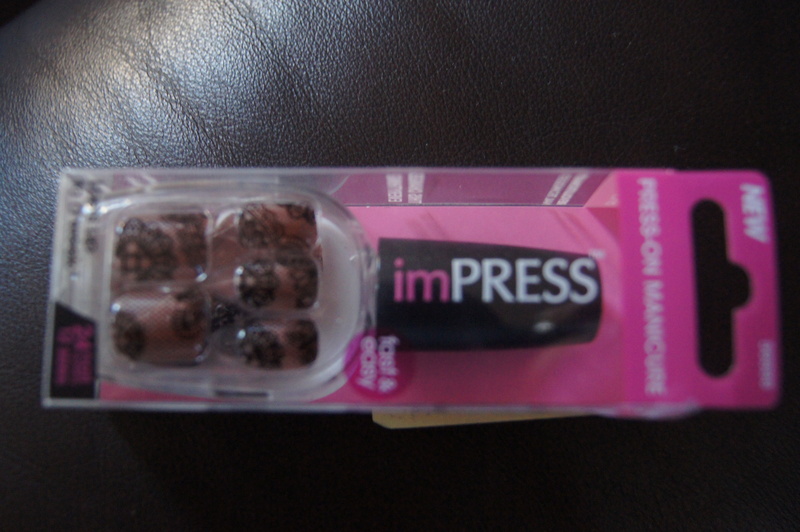 I gave you a review of the imPRESS Press-on Manicure by Broadway nails, and I wasn’t too impressed with them (no pun intended). As I mentioned in that review, I really wanted to love them; therefore, I gave them another try. This time, I tried “Holla”. I chose to use them again because I had no time to get my nails done for my family holiday pictures, and this was a cute design. I took off all nail polish then buffed my nails. 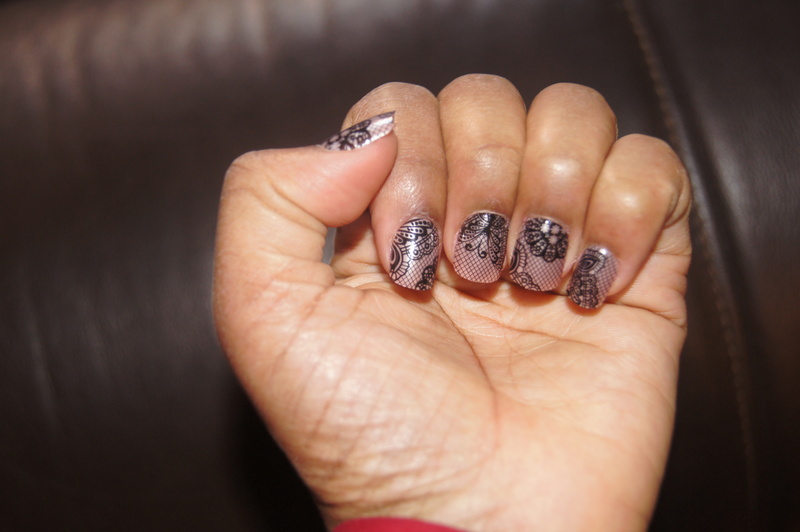 I applied the nails… Voila! -Nails did not feel stable. If I tried to grasp something with my finger tps you can feel the nail move. -The nails will not work if you have curved or oddly shaped nails. 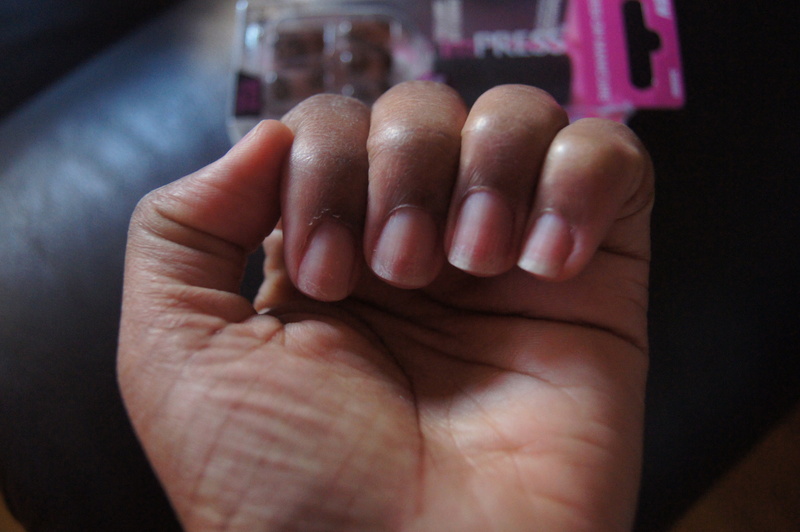 -Long nail lovers will not find this product helpful. 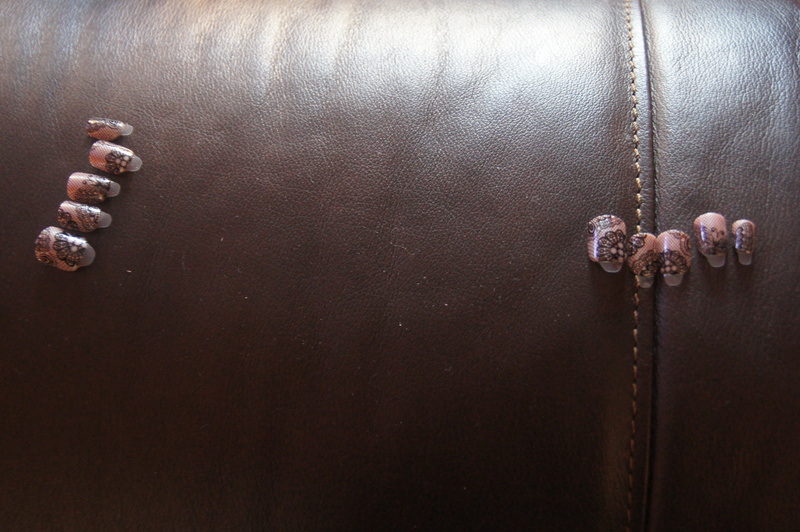 – Nails began to wear down/chip by day 3/4. I’m assuming this happens from the constant hand washing, and use of lotions and oils. – The glue did not damage my nails. Try them out for yourself. They are pretty decent. I’m glad I gave them a second chance. They really saved me for my holiday photos AND I received a sh!tload of compliments this time. 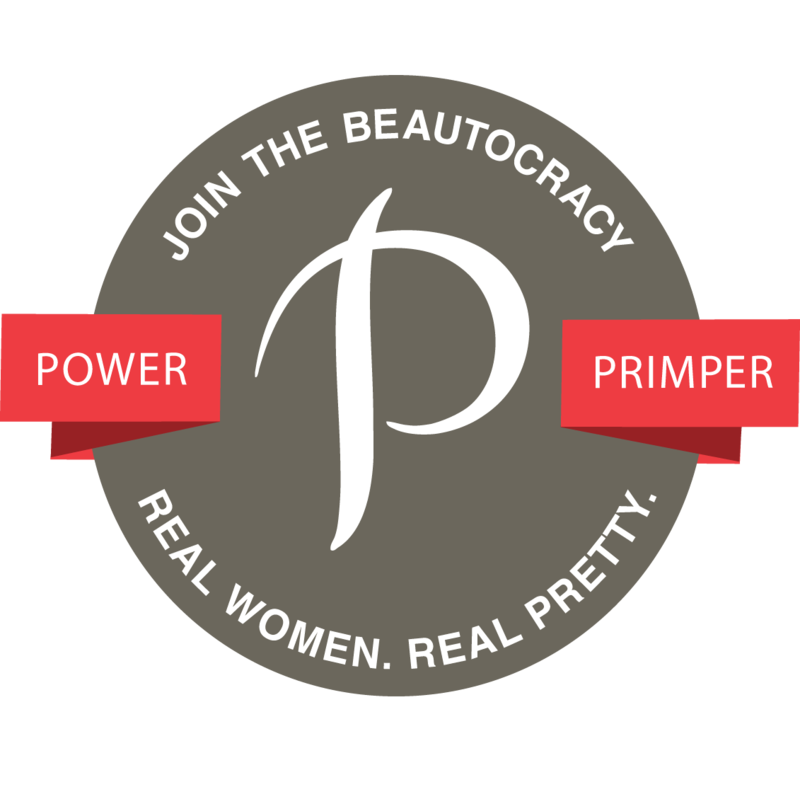 Plus, you can save $1 on the product if you visit http://impressmanicure.com/ and print the coupon. FOr New Years Eve, since I am going out I will probably put on “Working Girl”. This is such a good idea! They look great. I really glad you posted again on this product. I was considering getting some for new year's eve as well. I have a wedding to go to and even though i got a facial and a pedi today what I really needed was a mani. Hopefully these will be a life saver. If not I am no worse off other than a few bucks spent to try them. I will definitely be using the coupon you mention that I had found on the site. Thanks so much. Love your reviews. Thank you for stopping by. They are pretty cool, but definitely not for longwear. I tried these nails, and I as well wash my hands constantly and I am bathing residents I take care of in the nursing home. These nails lasted 6 days, and I only had an issue with my dominant pointer finger. When the seventh day came my ring finger came off, and that is when i decided to take them off, I did have plenty of nails fr replacement, but not enough for another full set. 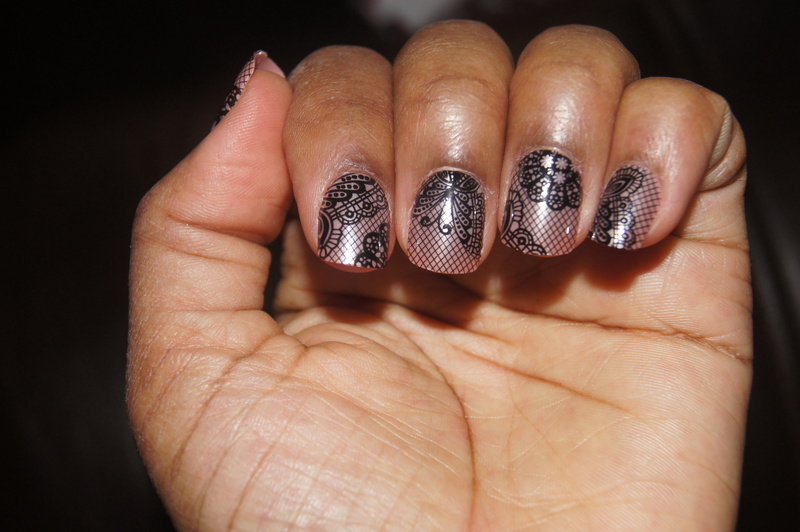 I had the pick me design, and I received many compliments from people and many also asked where I got my nails done at. what kind of adhesive is used on these nails. one fell off the first day & i would like to stick it back on.